APC assures empowerment for Kwarans – Royal Times of Nigeria. 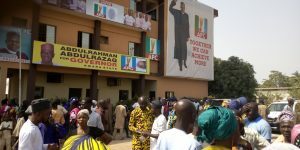 The Presidential Campaign Council (PCC) and a directorate in the PCC called Field Operations Directorate of the Abdulrahaman Abdulrasaq has assured kwarans residents of proper empowerment. Speaking at the empowerment programme carried out for members of the party in Ilorin , Abdulrasaq, who is also the APC governorship candidate in Kwara state said the empowerment would go round the One hundred and ninety three wards of the state. 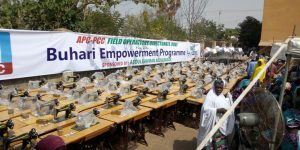 While noting that the empowerment package includes one hundred hair dryers and a lots sewing machines, Abdulralman said the empowerment is a means of appreciating and encouraging members of the party.